Deru – Peanut Butter & Patience from Mush Records on Vimeo. 2010 is looking to be a terrific year for handmade computer music from Los Angeles. 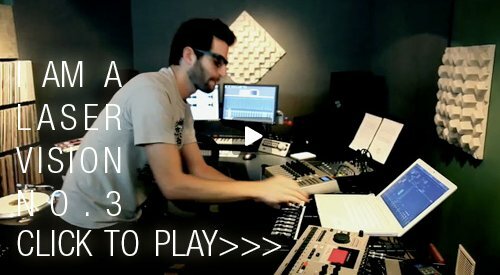 For one example of why, look to Deru, the composer and live electronic musician. His work continually grows more lush and more organic, drawing from musical strains as diverse as hip-hop and classical. And his upcoming album, “Say Goodbye to Useless,” takes all of that in. (Previously on Ghostly, Deru will release this disc on Mush.) I think it’s going to be a big year for warm, rich-sounding music. Deru also has what looks like the CDM dream studio, neat, comfy, elegant, and packed with the best, most compact musical toys. If he doesn’t inspire me to work on my music, he may at least inspire me to clean my apartment. Deru press page, with a good summary of albums, shows, background, resume, etc. Side note: LA, you’re on notice. New York is going to bring it. Sure, our clubs don’t always have, erm, electricity, but – that only makes us stronger.